Kailash Mansarovar Yatra is the highest calling of the divine which pilgrims always dream to fulfil in their lifetime. Believed to be the most scared of all pilgrimages, The Mount Kailash Inner Kora is revered by Hindus, Jains, Bons and Buddhists Circumambulating the mystical Mount Kailash is believed to be holy as it is considered as the centre of the universe. 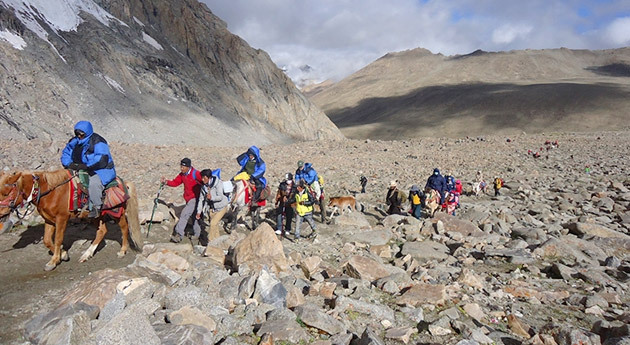 Besides faith in the divine, the Kailash Inner Kora trek tour requires utmost planning. For the pilgrims’ utmost comfort, we have a specially-crafted 17-day tour. Start with blessings of the holy sites in Kathmandu including Budhanilkantha and Pashupatinath temple Darshan. Hawan and pooja at the Mansarovar Lake blesses pilgrims while allowing a dip and Parikrama of Mansarovar Lake. Parikrama of the Mount Kailash is the highlight of the spiritual journey. Attend Hawan and Pooja at Mansarovar Lake. After arriving in Kathmandu, meet our representative who'll guide you to your hotel. Check-in at the hotel. Rest of the day at leisure. In the evening, explore Kathmandu on your own. Enjoy dinner and overnight stay at your hotel. In the morning after breakfast, set out for the sightseeing tour of Kathmandu city. Proceed for Budhanilkantha temple for darshan. 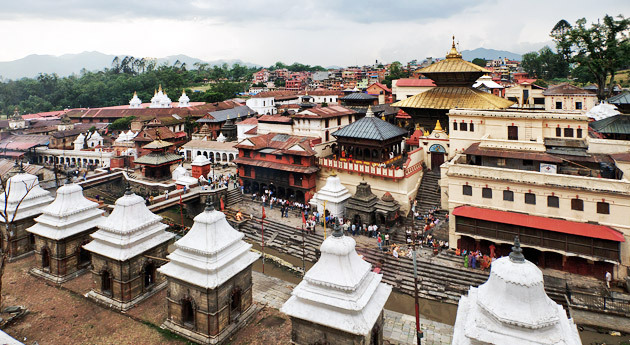 Next, proceed to one of the most iconic holy sites Pashupatinath Temple darshan. After darshan return back to your hotel for packing and the further program briefing. In the morning after breakfast, get transported to China border. Upon reaching the China border, our representatives would complete the custom and check-in formalities before entering Tibet. Post Lunch, start for Nyalam – the small Tibetan Town by Land Crusier. Overnight at hotel. On the 4th day of the trip full day rest is advised for high altitude acclimatization. Later in the evening take a leisurely walk to explore the place for its mesmerizing and alluring scenic beauty. Overnight in Nyalam. Post breakfast, start with the longest driving day. While driving towards Nyalam drive past beautiful lakes, Peku-Tso, Labug-La and nomads chasing thousands of sheep and yaks. In the afternoon you will cross River Brahmaputra before reaching Dongba. Upon arrival at Gangotri take a holy dip in the sacred river Ganges which is also caOvernight stay at Saga/ Dongba. In the morning after breakfast start for 7 hours long drive to Mansarovar. Upon reaching Mansarovar attend the Hawan and Pooja at the auspicious Mansarovar Lake. Enjoy your stay in the tents at the bank of the lake. On the 7th day enjoy the Parikarma of Mansarovar by Land Cruiser. Feel enchanted by taking a holy dip in Mansarovar Lake and do Pooja of Lord Shiva. The rest of the day is spent attending other spiritual activities. Later start driving towards Darchen and enjoy an overnight stay there. In the morning after having an early breakfast head for Kailash Parikrama. This Parikrama would require you to walk continuously for about 6 to 7 hours. All of your goods and equipment will be carried by yak. Overnight stay at Diraphuk. This day of tour is very sensitive as we will pass the Dolma-la Pass today. The Dolma-La pass is considered to be the toughest trek as it has very uncertain weather and experiences snowstorm very frequently. On the way have Darshan of Gauri Kund. Overnight stay at Zhulthul Phuk. On the 10th day of the tour have Darshan on east face of Kailash. Later in the day trek to Kuber Kund the beautiful lake. 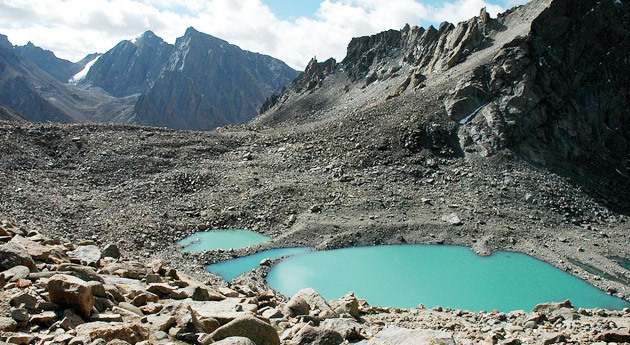 Moving further continue trek to Zhulthul park and enjoy an overnight stay at your tent. On the 11th day trek to Darchen a small town in Tibet autonomous region. 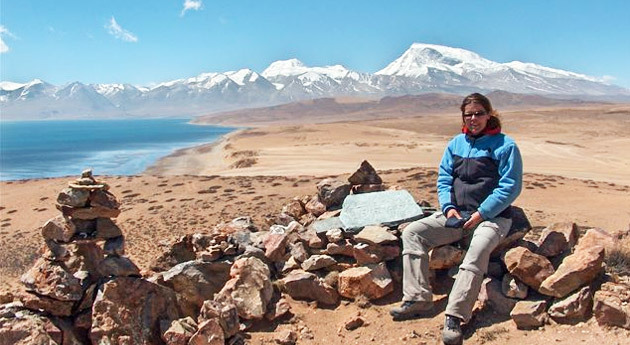 It is the only base and town for visiting both Manasarovar Lake and Mount Kailash. Overnight stay at Darchen. On the 12th day of the tour drive straight to Astapad. The literal meaning of Ashtapad is eight steps. It is the place where the first Jain Tirthankara Shri Rishabhadev Bhagwan attained salvation. Later trek to Mount Kailash base. The day is kept reserved for doing Nandi Parikrama. After Nandi Parikrama trek to Sapta Rishi Cave. Continue trek to Darchen. Enjoy an overnight stay at Darchen. On the 14th day we will drive back to Dongba. Overnight stay at Dongba. On the 15th day start for Nyalam, which would mark your last day stay in Tibet region. On completion of custom formalities you will be picked by the Nepal side. Continue your drive towards Kathmandu that will take another 5 hours before you reach Kathmandu. Upon reaching check-in at the hotel. The night is spent at the hotel. In the morning post breakfast, after checkout you will be deported to the airport to board a flight for your onward journey.